Hello friends! A few weeks ago, I stumbled upon the Miss A website, and was shocked to discover that they sell the majority of their products for only $1. AND, everything is cruelty free! I loaded up my cart and hit that checkout button so fast… It took a while for the makeup to get here, but it was so worth the wait. Let’s get straight to reviewing what I was most excited to get: the $1 Wonder Matte liquid lipsticks. Lol, I’m cringing at the fingerprints on the lids, but I also think going back and retaking the photos would just be too extra. Anyways, I purchased the shades Bounce, Likes, and Muse. Bounce is a dark bluish-purple color; kind of like Welch’s grape juice. Likes is a bold Barbie pink color, and Muse is an orangey red. If these shades aren’t your style; no worries! There are literally dozens of shades to choose from. And, there are also matching lip liners you can choose to purchase (I didn’t!). Here are my hand swatches. These were all done with only one dip into the tube. I noticed right away that they are quite creamy and opaque. I also noticed that Bounce bleeds a little bit. I would recommend picking up a $1 matching lipliner if you want this shade. All right, let’s jump into the lip swatches. I want to start with my favorite first: Likes. Next, is the shade Muse. This is just as gorgeous as the first shade! The formula feels a tad bit creamier, but it still feels lightweight and is easy to apply. This photo is with one coat; I think it would look better with a second coat, but it is still quite wearable like this! In the makeup look below, I am wearing two coats of Muse. And, lastly we have Bounce. This shade is a little patchier than the others, and it had some reviews saying it was streaky. Here is what one coat looked like. I found that if I dabbed it on rather than swiping, it diminished the patchiness substantially. And with two coats, it was completely opaque, as seen below. I also added some glitter over top to give it a galaxy look! 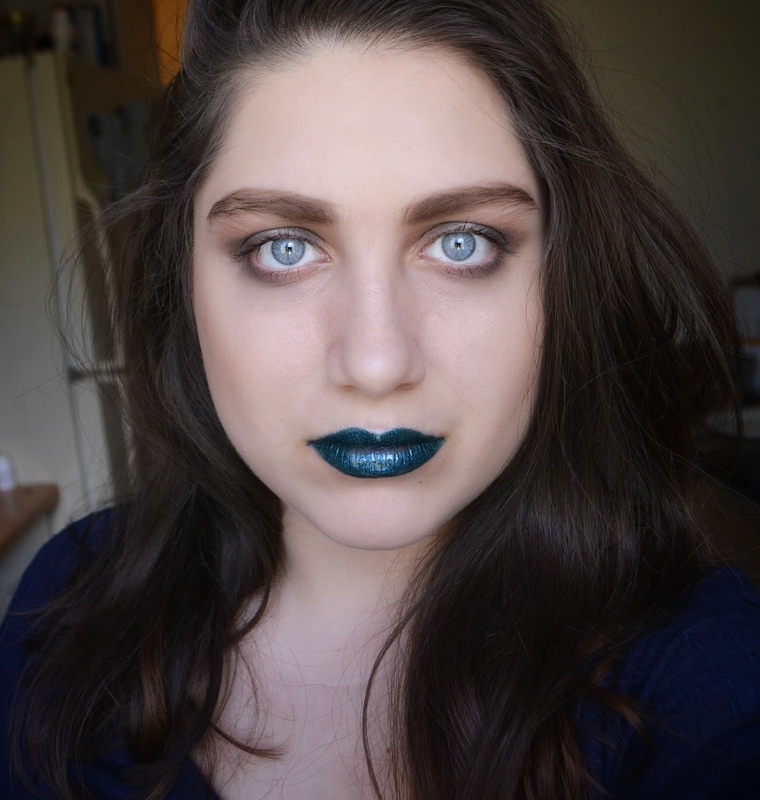 Now for my final thoughts: “Likes” is the hands down the best liquid lipstick I’ve ever tried. That was not what I was expecting going in to this; after all, it was only $1! However, I found that it is long lasting, transfer proof, and better than high end liquid lipsticks I’ve tried. “Muse” it quite good as well; I would say it is on par with the Tarte lip paints. Bounce is gorgeous, albeit a little tricky to work with. I would say these are definitely a great product, and I would happily pay much more money for them! I definitely plan on stocking up on more colors. I hope you found this review helpful! Oh oh….. there goes my bank account 😛 thank you for sharing! ooooh I like that Miss A continues to expand their line, I’ll have to try their liquid lipsticks. that’s awesome <3. you can't beat the deal either.